The Past and the Present of Peanut Butter. And a dose of donkiness. Facebook reminded me of this haiku I posted 6 years ago today. 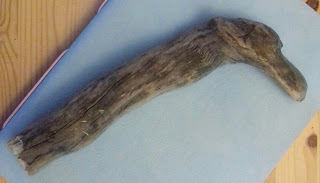 I was living in France in 2010 and six months away from starting this blog with stories about family and friends all linked by the theme of food. But the signs were there! 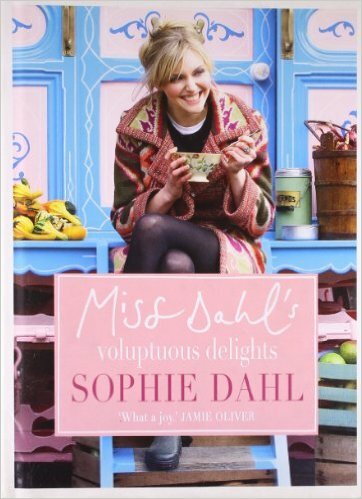 The recipe was Sophie Dahl's, and it must have been one featured on her TV programme that year, The Delicious Miss Dahl, as it doesn't appear in her book, Miss Dahl's Voluptuous Delights. A book you can now pick up from 1 penny (plus postage) on Amazon which surprised me as I really loved the TV series and the book is really pretty too, with uncomplicated and inviting recipes. But then I looked at a few of Jamie Oliver's titles and the penny price for used copies applies to them too. And he's as popular as hot salty chips by the seaside. And 6 years later I'm back with my spoon in another jar of peanut butter making these cookies as a post run snack for my running friends belonging to Meopham & Malling Ladies Joggers. You can check the recipe here, courtesy of Melissa at My Whole Food Life, and I bet you'll be as surprised as I was at the ingredients: peanut butter, maple syrup and salt. That's it. Really. No flour. No dairy. Which leads me to how I ended up calling one of my friends 'a donk'! 'So gluten free,' one of them said when I explained what was in them. 'Dairy free as well,' I said. I guess we've all had moments of donkiness. My greatest was in a creative writing class at the beginning of the 1990s when I first started writing. The tutor returned a story I'd submitted for feedback. 'I'm unsure about the use of the 3rd person,' he said. 'But there are only two people in it,' I said. English grammar classes at my comprehensive school had either overlooked the specifics of verbal conjugation (I write/1st person, you write/2nd person, he or she writes/3rd person) or, more likely, I'd somehow blanked out that particular lesson. Come to think about it there's an even greater donky moment in my past: in my early twenties I had it in my head that birds mated by the male bird passing the 'seed' from his beak to the beak of the female bird (don't ask...) and I shared this information with my new boyfriend's mates. Donk. Dork. Dunderhead. I'll take them all. I have no idea why I believed that. Though it'll probably come as no surprise to hear that I failed Biology at school. I did apologise to my friend for calling her a donk.